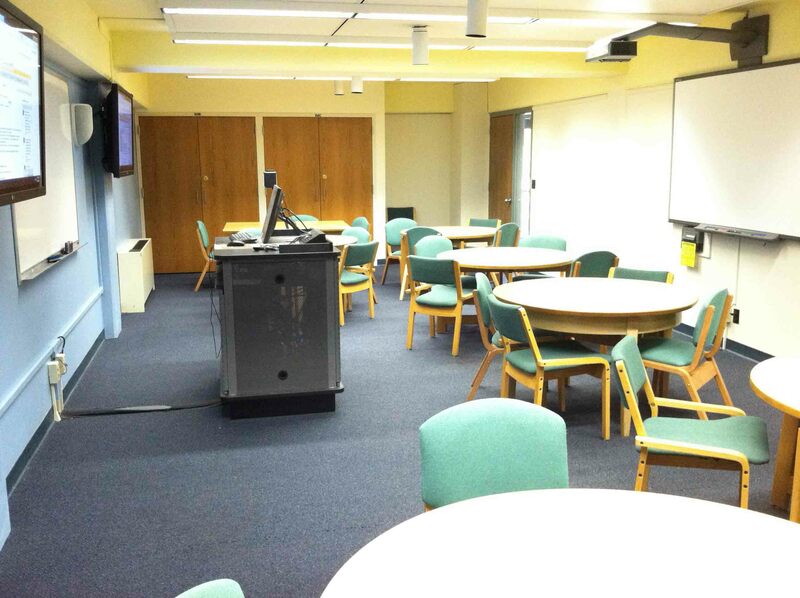 The Library's Meeting and Instruction Room is available for use by the Saint Rose community when it is not otherwise reserved. 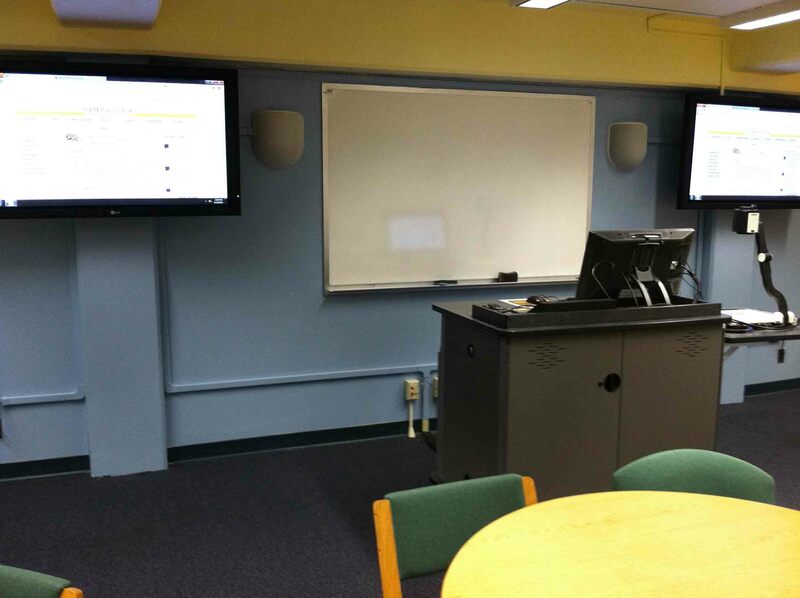 To request a time to reserve this room, contact the Reference Desk at (518) 454-5181 or via email. You may also use the form below to make a reservation request. Use your Saint Rose email address to book the room. 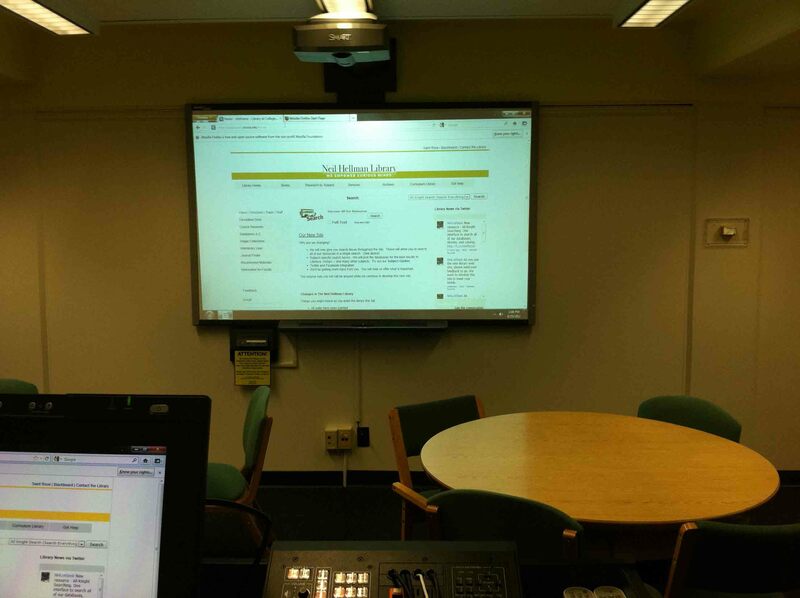 Check in with the reference librarian. The librarian will unlock the door for you. Were you looking to reserve the smaller group study on the 2nd floor? Follow this link. Teacher station, two LCD monitors, and a white board.